Vietnam Embassy in Philippines functions not only as a bridge between the Vietnamese Government and its counterpart or Vietnamese traveler in Philippines but also the place where Philippine citizens can visit to apply for a visa entry to Vietnam. 1. 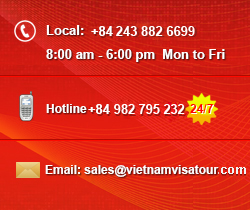 Contacting directly with the Vietnam Embassies in Philippines to apply for a visa.